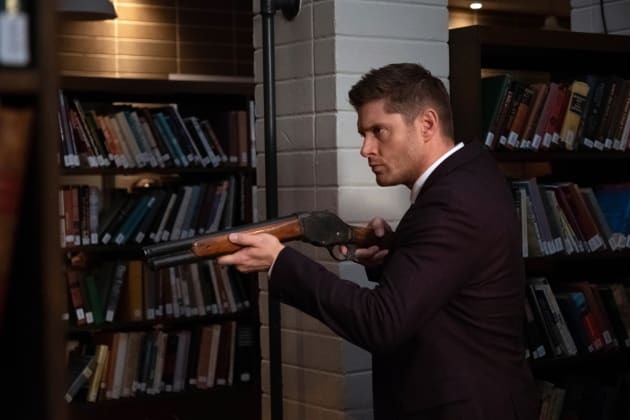 Dean means business while out on a hunt with Jack. 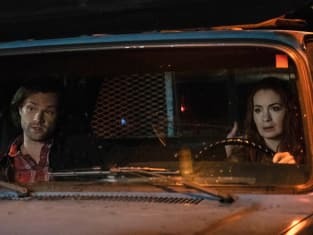 Supernatural Season 14 Episode 6: "Optimism"
Dean: What's up with the sugar? Jack: Well, without my powers everything tastes different, so I can't get this how I like it. Permalink: Well, without my powers everything tastes different so I can't get this how I like it. Nobody comes to the library anymore, even for story time. Permalink: Nobody comes to the library anymore even for story time.